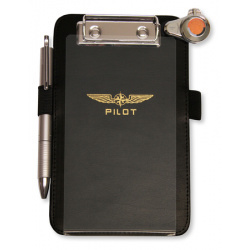 Elegant, high quality kneeboard for iPad mini (Generation 1-4) is made of eco-friendly leather and features a wide Velcro strap, holding clip, two elastic penholders and a metal fixture for our PILOT CONTROLLER® KIT. 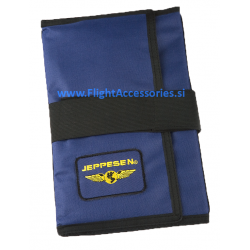 In addition to the strap the anti-slip pads provide very good stability. 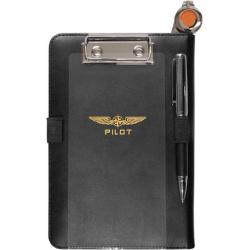 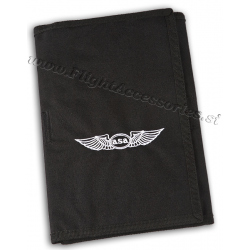 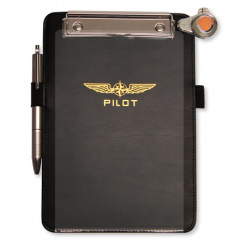 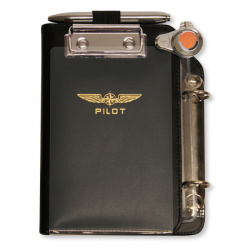 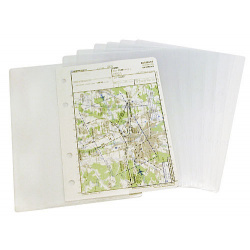 Suitable for most of the current tablets (7”-8,5”) Inside, the kneeboard is covered with a soft microfibre to protect your gadget and it also features a pocket for business cards. 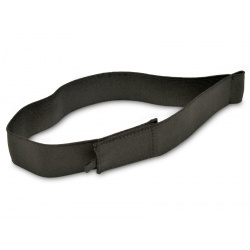 Furthermore, the new contact strips ensure a better heat dissipation and optimal air circulation. 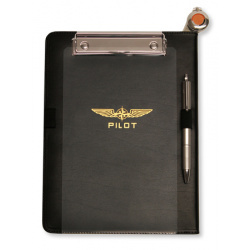 The tablet is secured with a Velcro fastener to prevent it from dropping out. 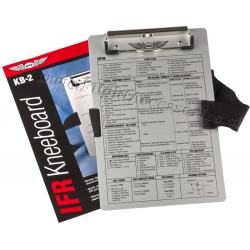 This elegant,high-quality kneeboard is made of eco-friendly leather and features a wide Velcro strap, holding clip, two elastic penholders and a metal fixture for our PILOT CONTROLLER® KIT. 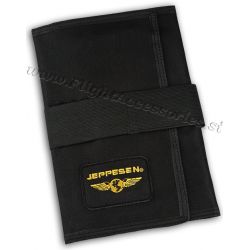 In addition to the strap the anti-slip pads provide very good stability. 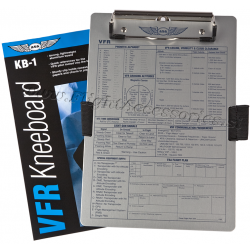 Inside the kneeboard is covered with a soft microfibre to protect your gadget and it also features a pocket for business cards. 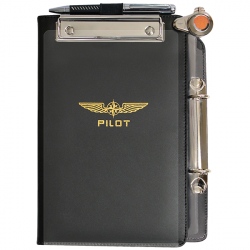 Furthermore, the new contact strips ensure a better heat dissipation and optimal air circulation and the tablet is secured with a velcro fastener to prevent it from dropping out.